﻿Surrounded by nature and close to everything the Asheville, NC area has to offer. 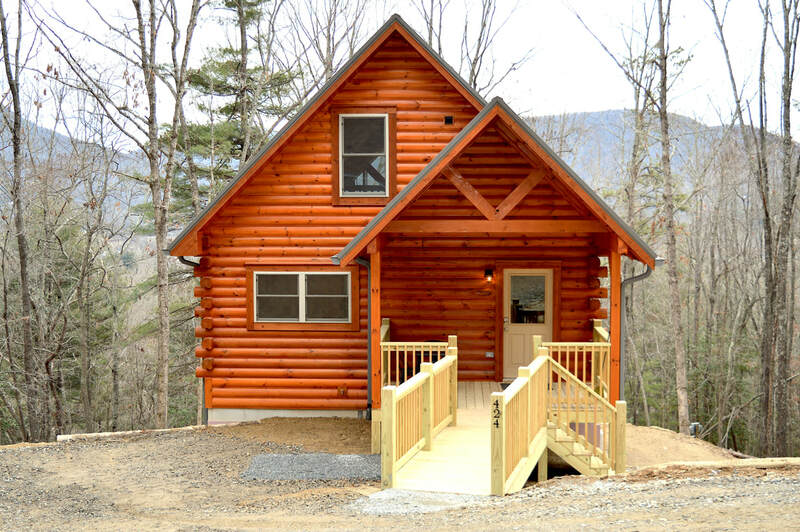 Located on the south slope of Burney Mountain in the beautiful mountains of Western North Carolina, the Chalet at Winghaven is a spacious, sunny log cabin with two bedrooms, a sleeping loft and three bathrooms. 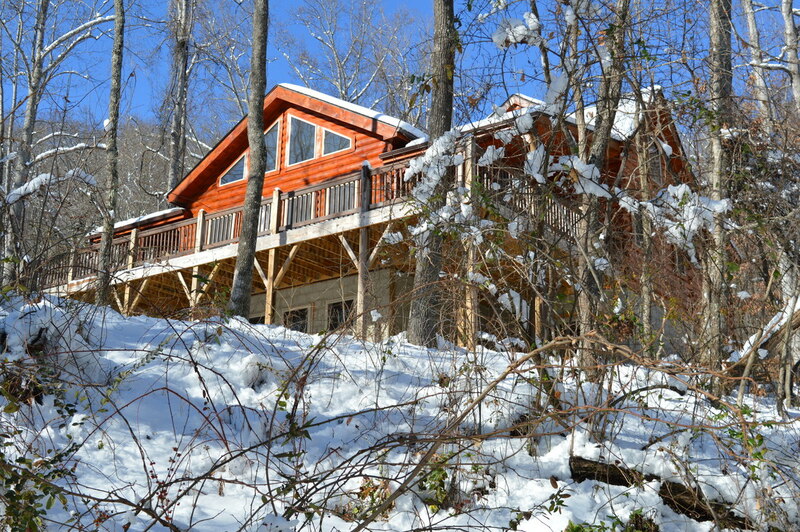 The Cottage at Winghaven is a gorgeous custom built log cabin with two bedrooms, a sleeping loft and two bathrooms. Close to Asheville (twelve miles to downtown) and all its attractions, the homes are surrounded by 38 acres of picturesque hardwood forest. Each cabin is completely private but within walking distance of each other. Wild turkeys rustle the fallen leaves in winter and lead their young in spring. An abundance of birds and other wildlife can be spotted from the sunny porches. Amazingly this private, natural oasis is walking distance to the local pizza place and the closest large grocery store is less than four miles away! ​We welcome events, groups, gatherings of family and friends as well as your pets. ​Please make sure to like our facebook page for special offers, last minute deals and updates! ​Booking through our website will save you money! VRBO, Airbnb, TripAdvisor etc. all charge booking fees and some of them restrict your ability to communicate directly with us. We are responsible to make your vacation the best it can be so we are happy to answer any questions personally. We won't put you on hold and we won't charge you any booking fees!